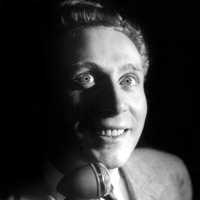 Charles Trenet was born in Narbonne (in the South of France) on May 18th 1913. Charles, the son of a notary, experienced a happy childhood, enjoying an especially close relationship with his mother despite the fact that he had an elder brother, Antoine. At the age of seven Charles was sent to boarding school in Béziers, but he returned home just a few months later, suffering from typhoid fever. It was during his convalescence at home that the young Charles developed his artistic talents, taking up music, painting and scultping. In 1922 the Trenet family moved to Perpignan and Charles was sent to a new school, this time as a day pupil. He hated maths with a passion but passed his "baccalauréat" with flying colours in 1927. After leaving school he set off for Berlin where he began studying art. By 1930 Charles had returned to France, promising his mother that he would enroll at the "Ecole des Arts Décoratifs" in Paris. Instead of continuing his studies the young man landed a job at the Joinville film studios where he worked as a props man and assistant to the director. It was during this period that Trenet assumed the pen name Jacques Brévin and began writing poetry. He also wrote a number of articles for Parisian newspapers which serialized his first novels. Yet a fateful encounter in 1932 led to Trenet taking up a music career rather than devoting his talent to writing. Teaming up with a young pianist by the name of Johnny Hess, whom he had met in a jazz club, Trenet became part of the "Charles and Johnny" duo. The pair went on to become a successful act with their first hits, "Quand les beaux jours seront là" and "Sur le Yang Tsé Kiang", which popularised the famous "fleur bleue" style. ("Fleur bleue", basically a dynamic new song-and-dance genre directly inspired by the American musicals of the day, was a typical 30’s invention). In 1936, the "Charles and Johnny" act was brought to a halt by Trenet’s military service. But a year later, towards the end of his military service, Trenet returned to the stage when Maurice Chevalier invited him to perform as part of his show at the "Casino de Paris". Trenet, who had just written his famous "Y’a de la joie", was then spotted by publisher Raoul Breton who hired him to perform at the "Théâtre de l’ABC" in Paris. This theatre was frequented by the crème de la crème of Parisian society and when the boyish-looking singer with angelic blond curls performed there he literally brought the house down, Cocteau, Max Jacob, Mireille and Colette springing to their feet to give him a standing ovation. Trenet sang just eight songs, as an opening act for Lys Gauty, but his remarkable voice and on-stage charisma made him an overnight star. Indeed, by the end of 1938 Charles Trenet had become the idol for a whole generation. Trenet also launched an acting career at this point, playing the lead in two 1930’s films, "La route enchantée" and "Je chante". He also wrote the songs featured in both films. At the start of WWII, Charles Trenet, who had become a national hero, was mobilized. He was barracked at the military base of Salon-de-Provence until he was demobilized in June 40. Then he moved back to Paris, where the cultural and night scenes were still in full swing despite the German occupation. In the French capital, he would perform at the Folies-Bergère or at the Gaieté Parisienne (two famous cabarets) in front of a public often consisting of German officers and soldiers. The collaborationist press tried to compromise his name and published that ‘Trenet’ was the anagram of ‘Netter’—a Jewish name. But the singer was able to show his family tree to the German authorities, proving he had no Jewish origin. This act of self-defense will be reproached to him long after the end of the war. Like many other artists of the time, he chose to go on entertaining the occupant rather than sacrifice his career, showing little interest in the Jewish issue—an attitude that some still regard as collaboration. What’s more, he even agreed, when asked by the German authorities, to go and sing for the French prisoners in Germany (Edith Piaf and Maurice Chevalier did the same). However, although he spoke perfect German, Trenet would always refuse to speak that language or to socialize with the occupant at the parties thrown after the concerts. During the Liberation the artist did not suffer from the suspicious and accusing climate. Nevertheless he decided to move to America where he lived for a few years. It did not take long before the Americans were fond of the French singer. After a few triumphant concerts at the Bagdad in New York, Trenet became a big hit in the States and was approached by Hollywood. He met the likes of George Gershwin, Louis Armstrong and stroke up a long-lasting friendship with Charlie Chaplin. His song ‘La Mer’, which according to the legend he had composed with Leo Chauliac on a train in 1943, was recorded in 1946. It was immediately translated into English by Jack Lawrence and became ‘Beyond the sea’. It was a smashing success in the English-speaking world where it became a classic. About 4000 covers were made of ‘La Mer’ across the world. At the end of the forties, TRENET went on tour in Latin America, and for the next six years he performed across the American continent in Canada, Mexico and Peru. On September 14th 1951, Trenet returned to Paris and made a triumphant comeback at the "Théâtre de l’Etoile". He incorporated ten new songs into his act, including "De la fenêtre d’en haut" and "La folle complainte". In 1954 he performed at the prestigious "Olympia" music-hall in Paris for the first time. The following year he wrote the famous "Route nationale 7" (a tribute to the introduction of paid holidays), "Moi j’aime le music-hall" and the extraordinary "La java du diable". He returned to the "Olympia", his faithful friend and associate Francis Blanche opening the show. In 1958, Trenet was the headlning act at the "Bobino" and the "Alhambra". In 1960 he returned to the "Théâtre de l’Etoile", appearing on stage for the very first time without the famous trilby hat which had for so long been an essential part of his act. Trenet’s public appearances became increasingly rare in the 60’s. His fans had grown older and the new spirit of rock’n’roll invading France from across the Atlantic (and influencing the new French "Yéyé" movement) began to knock traditional French chanson off its pedestal. In 1968 Trenet did think of organising a special concert at "Bobino" to celebrate his 55th birthday and his 30 years in the music business, but the student uprising and general strikes in May 68 soon put paid to that idea. Trenet did return to the stage, but it was at a smaller, more obscure, venue, "Le Don Camillo". In 1969, however, he did make a major comeback, performing at the "Théâtre de la Ville". In 1970, Trenet flew to Japan to represent France at the Universal Exhibition in Osaka. The following year he left Columbia, the record company he had been with for years, and recorded "Fidèle" and "Il y avait des arbres". He also made a memorable appearance at the "Olympia". In 1973, Trenet, who had just celebrated his 60th birthday, recorded a new album, "Chansons en liberté". The twelve songs on this album were an interesting mix of old and new compositions. The 60th birthday of the "Fou chantant" ("The Singing Madman") as Trenet had been affectionately dubbed by the press, was celebrated in grand style by the French media. Trenet made a shock announcement in 1975, declaring that he was retiring from the music world. At the end of his final concert at the "Olympia" he bid his audience an emotional farewell, then, following the death of his mother in 1979, he shut himself away from the world for the next two years. In 1981 Trenet made a tentative comeback with a rather melancholy album, largely devoted to sentimental memories of his childhood. The ghost of his mother appeared to hover over this new work, infusing the song "Que veux-tu que je te dises Maman?" with a special poignance. Trenet then returned to his peaceful semi-retirement in the South of France, occasionally rousing himself to give a special gala performance in France or abroad. But, encouraged by a whole new generation of fans, Trenet made a major comeback on the occasion of his jubilee on September 28th 1987. Digging his old trilby hat out of the wardrobe and replacing the famous carnation in his buttonhole, Trenet brought the huse down at the "Théâtre des Champs Elysées", the "Théâtre de Châtelet" and at the "Palais des Congrès". Encouraged by the enthusiastic reception from his fans, the singer then embarked upon another international tour. Trenet caused a huge stir once again in November 92 when he recorded a new album, "Mon coeur s’envole", for which he had written the music and lyrics single-handedly. Three years later he was back at the forefront of the music scene with another album, "Fais ta vie". Trenet made a remarkable live comeback at the age of 85, appearing at the famous Nyon Festival in Switzerland on July 25th 1998. Trenet brought the house down, performing a selection of his greatest hits ("Y'a d'la joie", "la Mer" etc.) and the old showman soon had the 20,000-strong audience singing along at the top of their voices. Nothing - not even the onset of old age - appears to be able to stop Charles Trenet in his tracks! On 21 May 1999, the indefatigable French star returned to the forefront of the music scene with a brand new album entitled "Les poètes descendent dans la rue" (Poets Take to the Streets). 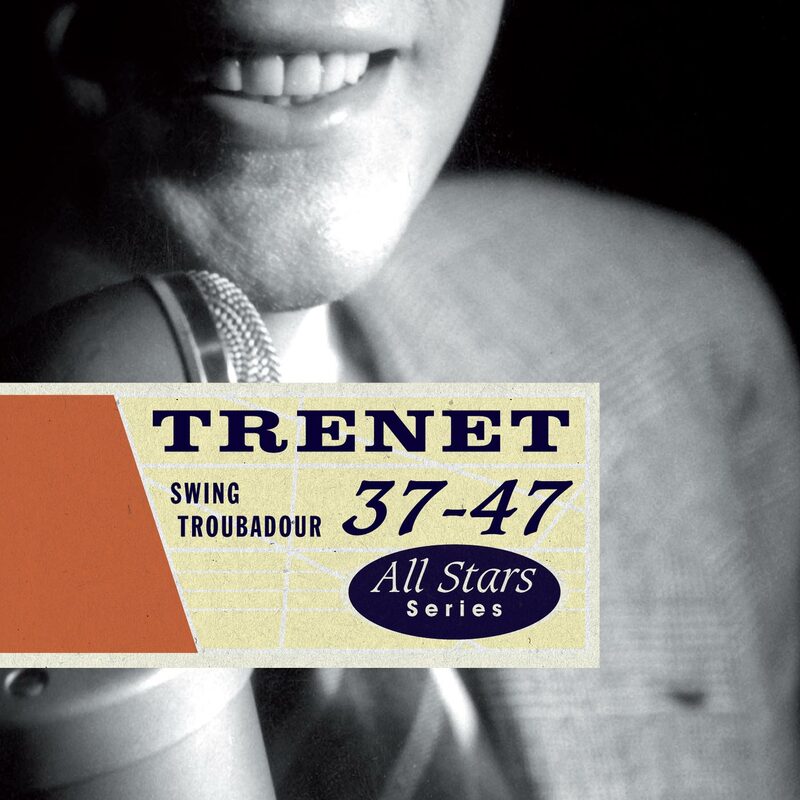 Seventy years after writing his legendary classic "La mer", Trenet proved that he was capable of coming up with fourteen inspired new tracks. Following the success of the album, Trenet returned to the live circuit, performing at the prestigious Salle Pleyel in Paris on 4, 5 and 6 November. The singer gave a highly moving performance, singing with as much verve and enthusiasm as he had in his 20s, even though he did not have the same agility on stage. Trenet's concerts proved a huge success, fans in the audience breaking into rapturous applause. In April 2000 old age began to catch up with Trenet, however, and he was rushed to hospital after suffering a stroke. The singer was forced to spend several weeks in hospital recovering, but by the autumn of that year he was well enough to attend the dress rehearsal of Charles Aznavour's show at the Palais des Congrès (on October 25th). However, this was to be the last time he appeared in public. In November 2000 the Narbonne house in which Trenet was born - which had become 13 Avenue Charles Trenet - was turned into a tiny museum. Visitors were able to view souvenirs from Trenet's childhood and family life (especially those belonging to his mother who spent most of her life in the house) as well as original drafts of the songs which had made his career. In early February 2001, Trenet was rushed to hospital yet again after suffering another stroke. Exhausted, he decided he was not able for more treatment. He died in the early hours of 19th February at the Henri-Mondor hospital in Créteil in the suburbs of Paris. The whole of France rushed to pay tribute to this artist who made a major contribution to French chanson and who was an inspiration for more than one generation of artists. Trenet's funeral service was held on 23rd February in the Madeleine church in Paris and Trenet was subsequently cremated at the Père-Lachaise cemetery. His ashes are buried in his mother's grave in his hometown of Narbonne.